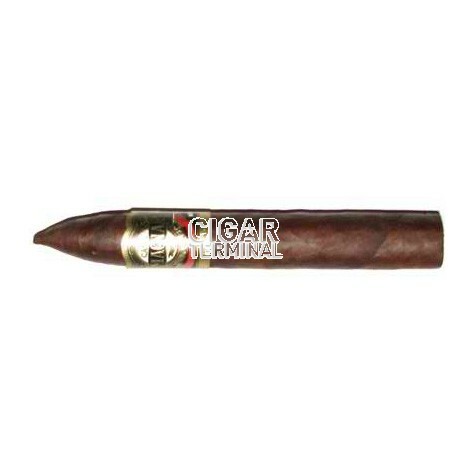 The Casa Magna Belicoso cigar is a medium-to-full bodied Nicaraguan puro cigar produced through a collaboration between Fonseca's Manuel Quesada and Nestor Plascencia. The Casa Magna Belicoso cigar is a medium-to-full bodied Nicaraguan puro cigar produced through a collaboration between Fonseca's Manuel Quesada and Nestor Plascencia. All Nicaraguan tobaccos deliver a tremendous depth and complexity; a clean and crisp sweetness; and toasty aromas. All this is wrapped in a rare Cuban seed ligero wrapper leaf with a great sheen and oiliness.